Our Nordic Fitness Trekking vacation programs take place in some of the most beautiful places on earth. Whether you’re wanting to hike the trails near our lodge in British Columbia, Canada, with our guides in Baja California, Mexico or anywhere else in the world during our Adventure Trek Hiking Vacation you’ll be treated to rich history, invigorating environments and the most incredible scenery on earth. Click here to see a schedule for your week at Mountain Trek’s hiking retreat in Canada. Hiking with us will challenge and inspire you – you’ll get your heart rate up and your spirit will soar as you explore extraordinary natural beauty with our team of experienced guides. Each day, our guides lead Nordic Fitness Trekking on a variety of trails of varying challenge. You’ll join the group that best matches your fitness level – from beginner to advanced – and receive all the individual attention you need. (We have the highest staff-to-guest ratio in the industry!) Our guides will support and motivate and offer on-the-trail advice about techniques that will improve your aerobic workout and prevent injuries, all the while pointing out the splendour of the nature around you. Our base lodge near picturesque Nelson, British Columbia offers a variety of pristine hiking trails right on our doorstep. It’s the ideal Nordic Fitness Trekking retreat location. Our adventure hiking vacations have taken place at various international locations renowned for their hiking trails. They are geared towards those who have been in the program or who are experienced hikers. We trekked in the ancient and mysterious land of the Thunder Dragon – also known as the happiest place on earth. We participated in local celebrations, visited ancient temples and fully immersed in the beautifully Bhutanese culture. Tick this one off our bucket list! We visited the world-renowned heritage site of the Amalfi Coast in Italy in 2015. We relaxed on sun-dappled patios overlooking a turquoise sea after daily hillside hikes and learned about Italian culture while enjoying world-renowned seafood dishes. It was magnifico! The land of the rising sun called us in 2014. We explored the culture, witnessed the cherry blossoms and took part in ancient customs such as the tea ceremony. Machu Picchu, the inca trail and the sun God was met and enjoyed on this South American Adventure. The lodges were outstanding and the memories will never dull. Hiking the legendary Camino de Santiago with its rolling hills, rich medieval heritage and beautiful architecture made it a thrilling lifetime experience. There is no mistaking the allure of the tallest mountains. The hiking in Nepal is spectacular and making up to the base camp at Mount Everest base was by far the highlight. Program Director & Lead Guide: Kirkland Shave embodies the essence of Mountain Trek. 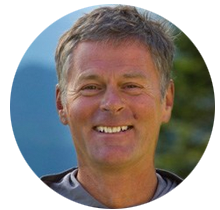 A certified hiking guide and a certified Life Coach, Kirk is a motivator who challenges guests to do more than they thought possible. Kirkland walks the Mountain Trek talk…sometimes barefoot. 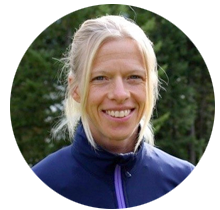 Head Guide & Fitness Director: A certified hiking guide for over 25 years, Cathy Grierson has developed a fitness program at Mountain Trek that complements the hiking intensive. Her positive, upbeat manner inspires and motivates our guests; she is a true role model. 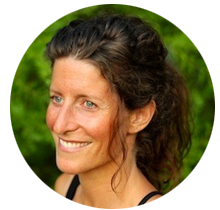 Nutritionist & Guide: Jenn Keirstead has taught about the healing qualities of whole foods for the last decade. With a background in psychology and nutrition, she delves deep into diet, lifestyle and emotional aspects of food, offering insightful and practical changes for our guests. 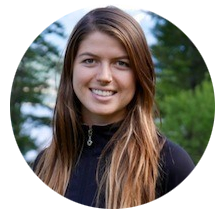 Kinesiologist & Guide Sage Leboutan grew up in the West Kootenays, where she developed her passion for the outdoors. Since then has taught yoga in Central and South America and earned a degree in Kinesiology. 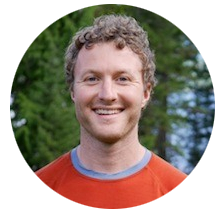 Guide: Energetic and passionate about health and fitness,Simon Shave has completed a degree specializing in stress and health. Beyond these passions, he has grown up both playing and working throughout the beautiful Kootenay mountains. 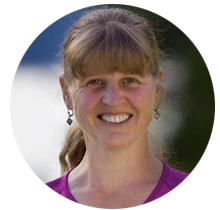 Guide: Jeannie Dwyer has been playing and working in the outdoors of British Columbia all her life. 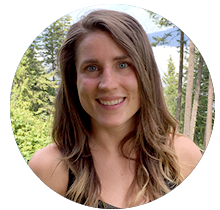 Born and raised in the West Kootenays, she loves nothing more than showing guests the beautiful secret spots around the region. Guide: Lauren Powers is a passionate hiker, skier and photographer who has lived out West for the past eight years. She majored in Geography at the University of British Columbia and is applying her knowledge and love of the outdoors to a career in guiding.